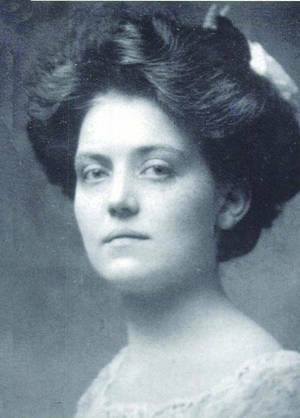 Violet Jessop, Argentina-born daughter of Irish Immigrants lived to the ripe old age of 83 years. A long life for someone born in 1887 when you consider that early 20th-century life expectancy was much lower than it is today. What's more interesting, however, is that Jessop managed to cheat death on several occasions, surviving against all odds. Was it the Irish genes or the Argentine upbringing that gave her the robustness to beat the odds? Jessop is mostly remembered for surviving the sinking of the RMS Titanic and the HMHS Britannic. 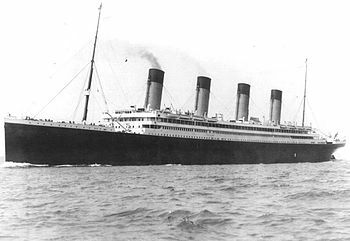 She was also on the RMS Olympic when it collided with a warship while out on a voyage. In addition to surviving some of those disasters, Jessop spent the majority of her life in physically and mentally demanding occupations: ocean liner stewardess and nurse. 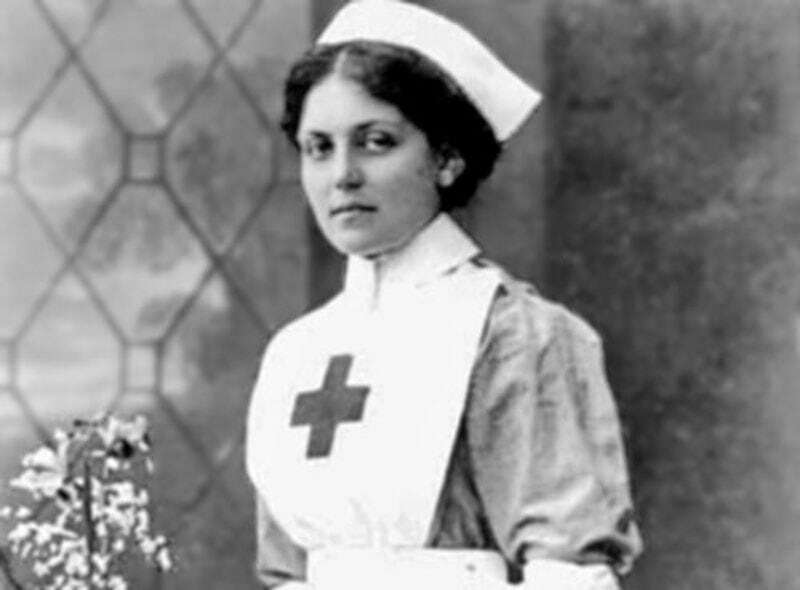 Violet Jessop was a survivor. Early on for Jessop, her life was anything but easy. She faced a lot of challenges and adversities but managed to work her way through each one. She was born in 1887 in Argentina and her parents were both Irish immigrants. As a young child, she contracted tuberculosis and was only given a few months to live before tuberculosis would certainly claim her life. However, she fought off the disease and went on to live a long life. When her father passed away, her mother decided to move to Britain with the entire family. At this point, her mother got a job as a stewardess on a ship while Violet attended a convent school. Jessop's mother eventually became extremely ill and in order to take care of the family, Jessop decided it was necessary to work so she followed in mum's footsteps and made plans to become a ship stewardess herself. One of the biggest problems for Jessop was trying to find a ship that would take her and hire her for the job. She was only 21 years old and at that time period, middle-aged women made up the majority of stewardesses. The biggest reason for hesitation in hiring her was that her potential colleagues viewed her being there as a distraction. They also envisaged problems airing between the passengers and crew over this young girl. During the course of her career, she received at least three different marriage proposals by both passengers and crew. As a result, Jessop decided to make herself look older and less attractive. Through this, she found a lot more success in the interviews she attended. In fact, she was hired to work on the Orinoco, which was a steamer from Royal Mail Line, for a brief period before she was hired by White Star Line. When she began to work for White Star Line, she was initially placed on the Majestic but switched to working the Olympic in 1910. She worked for minimal pay despite long hours and she even expressed some concerns regarding the travel patterns of the ship and the rough water she might face. However, she was excited about this opportunity thanks to the Americans on the ship, who she thought were much nicer and treated her like a person. Her time on the Olympic took a drastic turn in 1911 after an unfortunate run-in with a warship. It collided with the HMS Hawke, which is a warship designed to sink the ships it rams. Due to the impact and the accident, both ships suffered heavy, extensive damage. Despite the fact that the Olympic was hit below the waterline, it did not sink and they were able to make it all the way back to the port and Jessop and the other individuals on board were able to make it off safely without injuries. Despite her unfortunate time on the Olympic, Jessop still wanted to travel and keep working as a stewardess and she wasn’t going to stop going on ships. This time, Jessop was recruited to work on the Titanic. She had found out about the potential job and was unsure of it at first but eventually decided to do so thanks to the heavy influence of her friends and family. 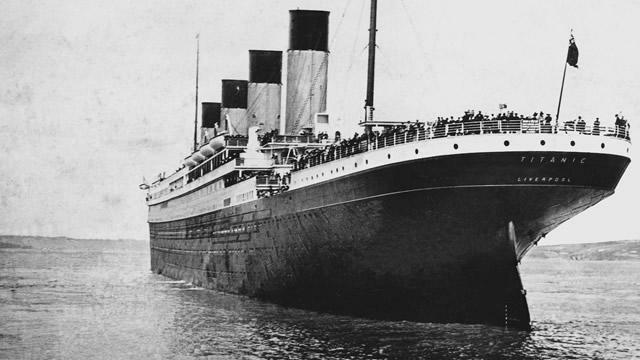 Most people know how this one ends, but if you don’t, on its maiden voyage, the Titanic struck an iceberg and more than 1500 people died in the subsequent sinking. While the details of the sinking of the Titanic are outlined in her memoir, Jessop recalls that she was ordered to go up on the deck because her main job was to show the non-English speaking passengers what they needed to do. If they had a hard time following the directions, they could see what Jessop was doing in order to get a better understanding of what to do. Later on in the night, Jessop was loaded onto her own lifeboat. She ended up on lifeboat 16 and right before the lifeboat left, someone gave Jessop a baby to take care of and ensure that it was safe and would be looked after. It was the following morning when her lifeboat and everyone inside of it was rescued. They were rescued by the RMS Carpathia and while on board, a woman, who Jessop just assumed was the baby’s mother, grabbed the baby and ran off without even saying a word. In the midst of the First World War, Jessop was chosen to serve as a stewardess for the British Red Cross. 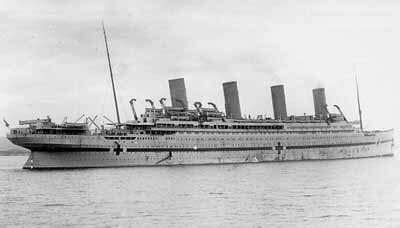 On November 21, 1916, she was aboard that HMHS Britannic, which was a White Star liner converted to a hospital ship for the war. An unexplained explosion led to the sinking of the ship. From the time of the explosion, the ship only took 57 minutes to completely sink. Despite the rapid sinking time, only 30 people were killed in the tragic accident. While it still remains unclear, there are several possible theories as what might have happened. Some authorities believe that it might have hit a mine planted by German military forces or it could have been struck by a torpedo. Others think that maybe Britain was responsible for sinking its own ship. Despite everything, scientists have been unable to come up with a definitive answer to what may have sunk this ship. While the Britannic was sinking, Violet Jessop and other passengers were able to make their way out to the water using the lifeboats. Many of the lifeboats became death-boats as they were sucked back under the boat by the propellors. Jessop was able to jump out of her lifeboat before the impact with the propeller. She suffered a serious head injury in the process but was able to make it out alive and in relatively good condition. She did not know it at the time but found out during a routine visit to the doctor years later, that she had fractured her skull that night. While Jessop would not stop working on the boats for the remainder of her life, she did take a short break from doing so before eventually returning to work for White Star Lines in 1920. As if three different tragedies on three different boats and ships weren’t enough to make her want to quit her job, Jessop continued to do what she had always done and kept working as a ship stewardess. Fortunately for Jessop and all of the other passengers aboard the ships she worked, there would be no other accidents. Around this time, jobs were not that easy to come by. Those that had jobs were considered very fortunate. Eventually, Jessop decided to leave her job at the White Star Line and joined the Red Star Line and worked as a stewardess. She would then go on to rejoin the Royal Main Line staff once again. When she began her work with the Red Star Line, she was selected to go on two different around the world cruises on the Belgenland, one of the company’s largest ships that they had in their fleet. When she was in her late 30’s, Violet Jessop was married for a brief stint but it only lasted for about 6 months and she never had any children. In 1950, at the age of 61, Jessop finally retired from working as a stewardess. She spent the rest of her life doing things she loved to do such as raising chickens and gardening. She was nicknamed “Miss Unsinkable“, for obvious reasons. While two of the sinkings that Jessop survived were of ships with little significance in terms of publicity, her role on the Titanic is important and popular simply because it took place on the Titanic. While she isn’t mentioned specifically in the 1997 James Cameron movie version of Titanic, she is represented by a fictional character that goes by the name Lucy. In the background of some shots, you can see her working on the first classrooms. Once the Titanic begins to sink, she is told to put on her lifebelt to help set a good example for everyone else. These were the exact instructions given to Jessop at the time of the Titanic sinking as mentioned above. There is another representation in A Night to Remember, a film about the Titanic released in 1958. In this movie, a stewardess is seen on the lifeboat deck showing people how to put on their lifebelts in order to survive. Once again, an obvious nod to the role that Violet Jessop played on the Titanic that night. Lastly, there was a stage play titled, Belgenland, which celebrated the centenary sinking of the Titanic. It was a play that was designed to tell the story of the last 12 hours on the Titanic and how everything went down that night. In this particular performance, Jessop is actually named by name in the play unlike in the other films. 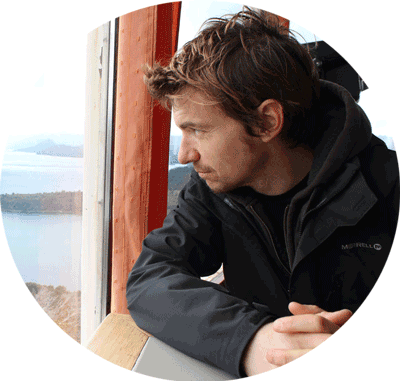 While the lives of many individuals are seen as extraordinary, the life of Jessop is certainly one that stands out. From her beginnings in Argentina to her incredible luck throughout her life (boat crash, two boat sinkings and tuberculosis), it’s clear the Violet Jessop was a special person who lived an incredibly special life.